Not that we’re wishing for another Snow-vember but students listened to, responded to, visualized, and made text – to – self connections to the book, Buffalo Snow. 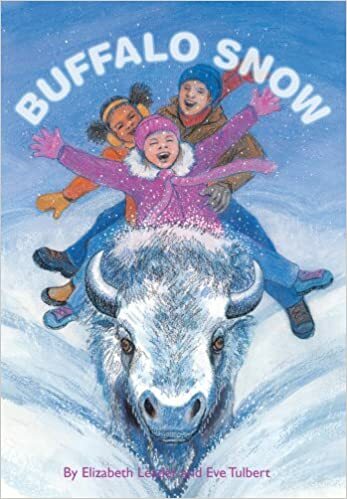 Buffalo Snow was written and illustrated by a mother and her daughter whom live in Buffalo, NY. The book is about a little girl, Jill, and her older brother, Joe. They had a snow day from school so they went to the market. When they were leaving, the blizzard hit and they couldn’t see in front of them preventing them from driving home. They walked to a house nearby to use the phone. A lady, Mrs. Johnson, and her daughter, Keisha, let them stay warm and safe in the house until Jill and Joe’s father could come get them after the storm. Jill made a new friend that day in the city of good neighbors. THE ONLY THING THAT I HAVE LEFT TO ADD TO THE WALL, ARE SOME PICTURES OF BUFFALO’S MAGNIFICENT ARCHITECTURE! Then, we made BUFFALO SNOW-SCAPES! Take a look at some of our Buffaloes to discover our favorite things to do when it snows! Also take a look at our story elements! We identified the characters, setting, and the problem and solution in the book!